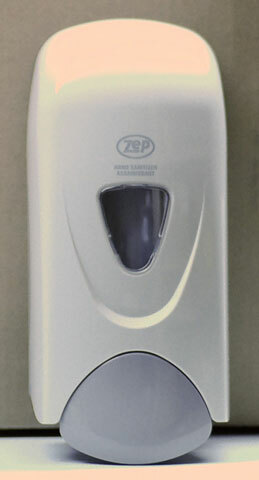 Foaming Soap Dispenser [Zep foaming soap dispenser] - $24.95 : YourShopSolutions, If you need it...we may have it or will find it! 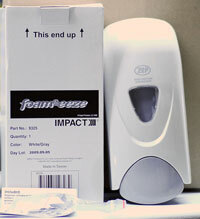 Handy wall mounted dispenser for foam products - soap or hand cleaner. 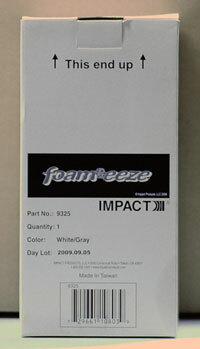 The 1 litre tank (included) is refillable with any product you choose as long as it is a foam product. 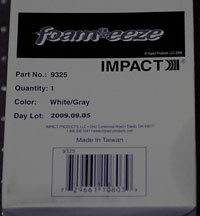 Non-foaming products will clog it up and need to be rinse out. It can be used in other areas as well....kitchen, shower, bathroom, anywhere soap or cleaner would be useful.